A Yooper is someone who lives in the Upper Peninsula of Michigan. It’s the best place in the world, but I’ll save all that for another post. 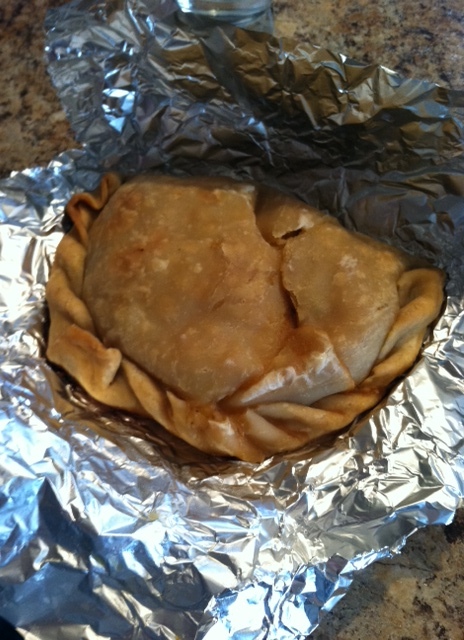 This is about my dinner tonight – a pasty! What? 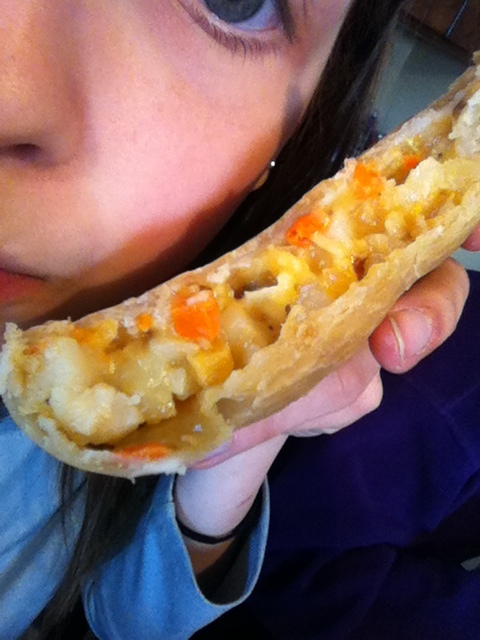 Pasty? Not pace-ty. Not pass-ty. Pass-tee! The most well known Yooper food. A typical pasty includes meat and potatoes, but since it’s Friday and I’m Catholic, we got veggie pasties! So delicious and filling. Potatoes, carrots, rutabaga, celery, onions, cream of mushroom, cheddar cheese, and salt & pepper. YUM. My cousin Laura called and wanted to run so sure I said. It was as bad as yesterday’s run. So. Windy. She is not very fast though, I was practically walking. I’m planning on a long run tomorrow! After I thawed out I had some ice cream! It’s been awhile. I’ve missed it. It was a nice treat! 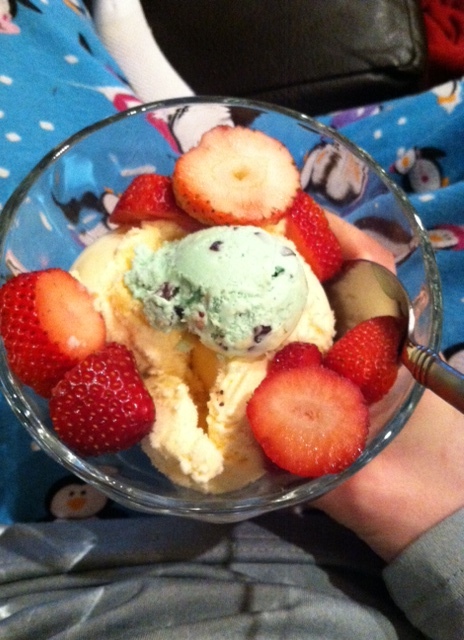 Vanilla with a scoop of Mint Chip and strawberries. St. Patty’s Day Weekend! Special Plans? I have nothing. That never happens! What are your favorite local foods? Since my mom was crabby tonight, we did not end up making dinner. 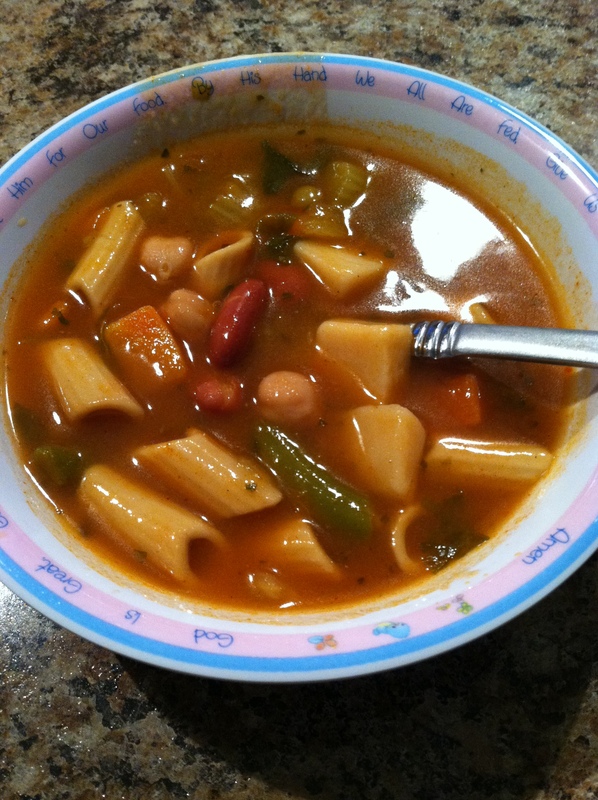 I still had a soup craving, however, so I made Progresso Vegetable Classics Minestrone. I like that it is vegetarian. I used the stovetop and it took about 10 minutes on a low-medium setting. Finally time to eat! I thought it was good. I liked all the noodles, beans, celery, peas, carrots, potatoes, spinach,, and green beans. 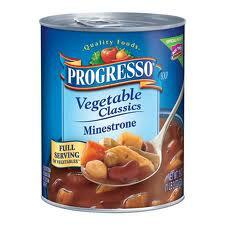 Progresso advertises that it has no MSG, which is good. The broth tasted fine alone, it was rather thicker than I expected. So overall, I’d say it hit the spot for my soup craving. I ate the whole can, but that’s all I ate. I like how it is vegetarian, with no chicken broth or anything. It’s got high sodium, but it’s pretty hard for a canned soup not to. I would eat this again. 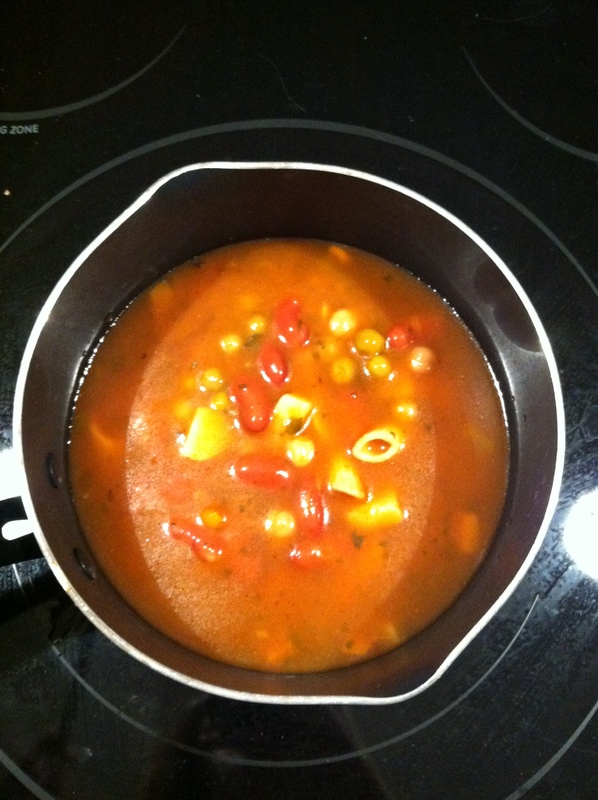 It might be good to add some parmesan cheese or salt and pepper.